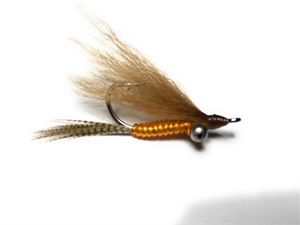 Designed as a tailing bonefish fly, the Brewer's Amber shrimp can also be tied with bead chain eyes for middepth flats fishing. 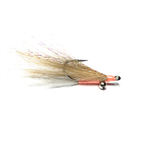 Use blind flies when fishing shallow water to avoid spooking bonefish. This effective bonefish fly enters the water with hardly a splash.